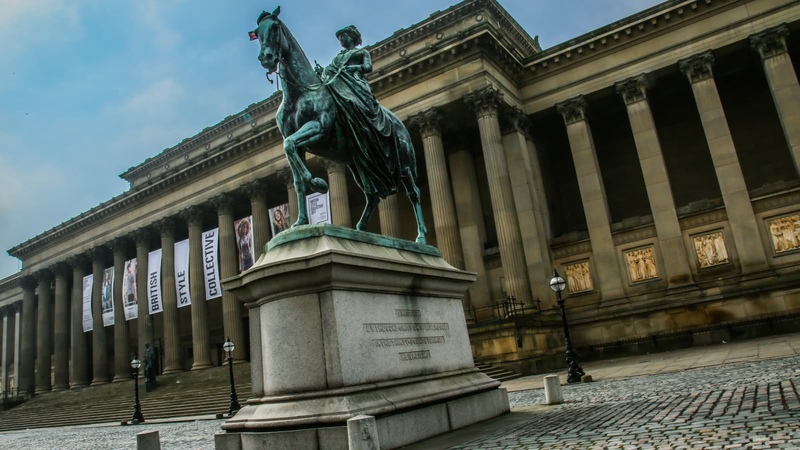 Liverpool has played a key role not only in British history, but world history. As the main port of the biggest empire in history, it has affected the lives of millions upon millions of people the world over. 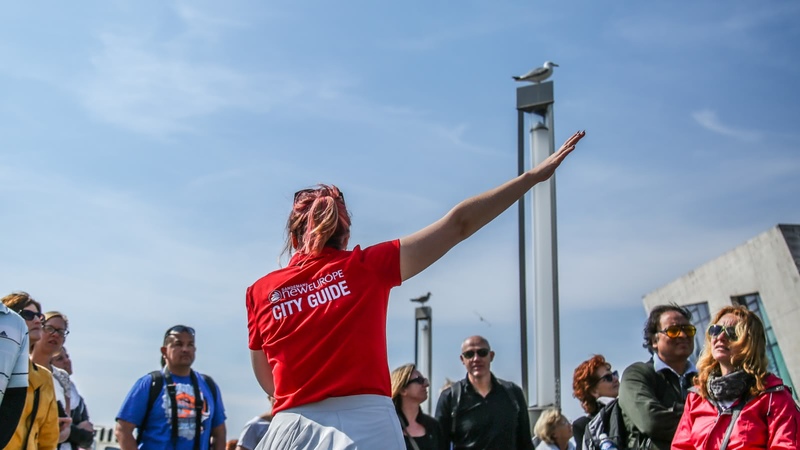 From The Beatles and eccentric WWII submarine hunters, to Confederate captains and repentant slave traders, this 3-hour Liverpool city walking tour will introduce you to amazing characters and fascinating stories. 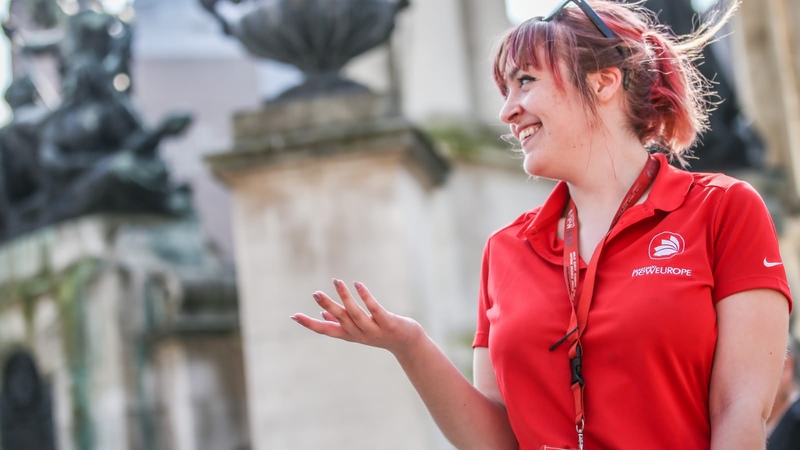 Your walking tour of Liverpool's highlights starts daily outside St. George’s Hall and finishes by the Royal Albert Dock. 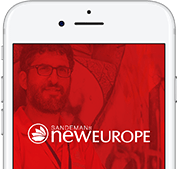 Discover the wealth of great buildings, and the legendarily friendly population, summed up in the famous nickname: ‘The world in one city’. In the 17th century, Liverpool was the main trade gateway both to the Irish Sea and the West Indies. 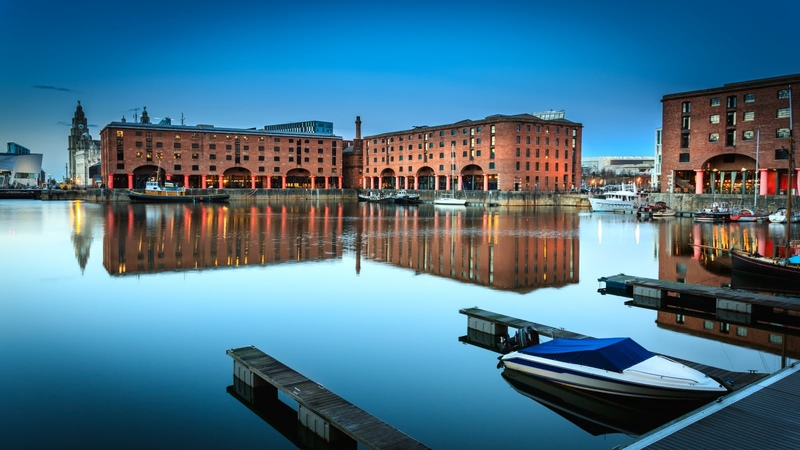 On this walking tour you will visit Albert Dock, the first dock to be built without any wood. 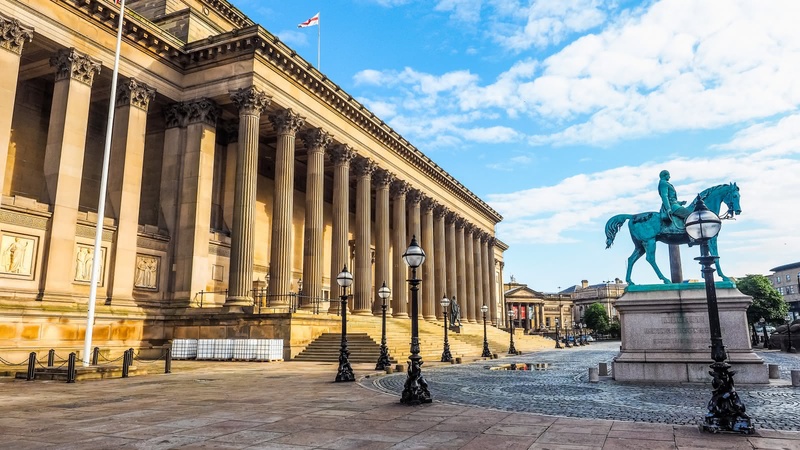 Liverpool became even wealthier than London in the 19th century and you will see evidence of this as you walk along Pier Head and marvel at the magnificent buildings that line it. Enjoy the waterfront, a UNESCO World Heritage site with its incredible collection of maritime and commercial architecture, enriched with exciting new developments and home to some of the most popular museums and galleries in the country. By the end of the WWII, Liverpool was the most bombed city in the U.K., after London. On this tour, you'll see reminders of this turmoil as we pass some of the buildings that survived the bombing. 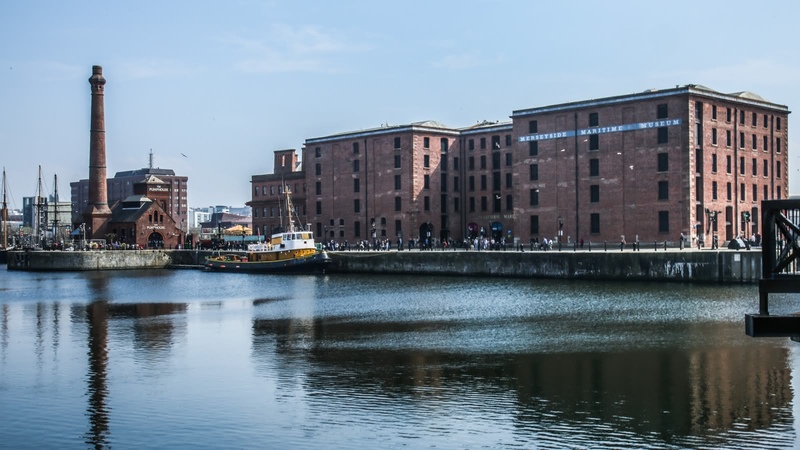 Liverpool is well-known for being the home of the Beatles, and we will take you past some of the top spots made famous by the band, including the club that they often played at. 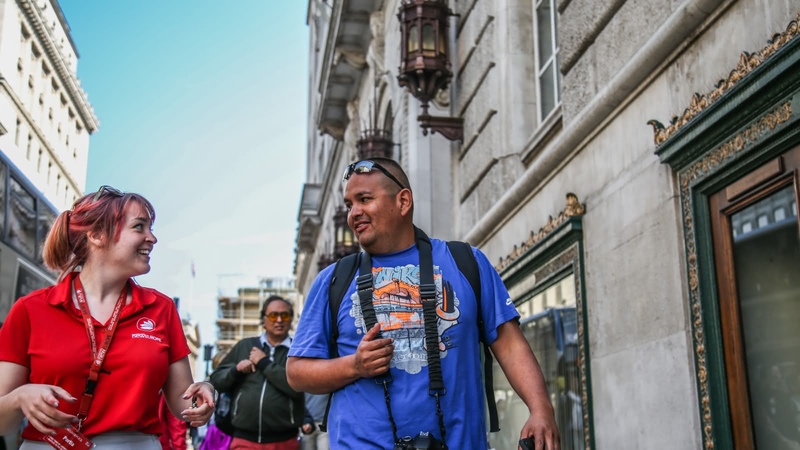 For fans of the band, our Beatles to the Blitz tour delves deeper into their influence over the city and shows you some of the more hidden and subtle tributes to them. Other than the Beatles, Liverpool is also well known for its architecture and culture. The Walker Art Gallery is home to one of the largest art collections in the world, the Town Hall is renowned as a well-preserved 18th-century building, and most of the inner city is classified as a UNESCO World Heritage Site. 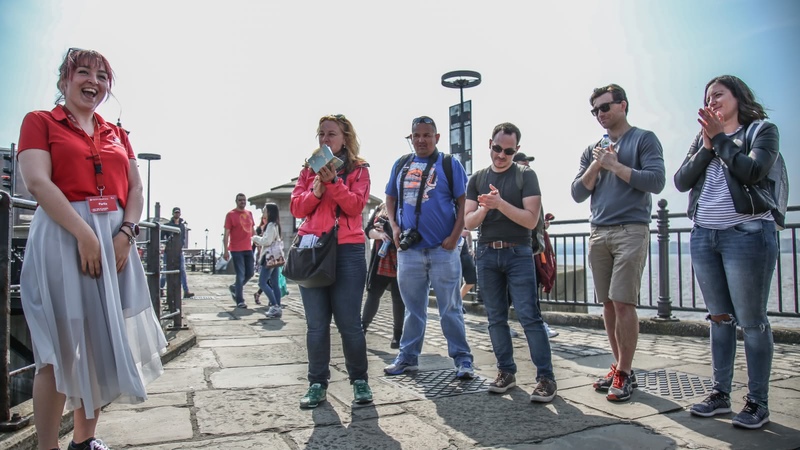 Join us as we see some of the most interesting sites in Liverpool! I decided to tour my home city after 46 years of living here I didn’t know the history of Liverpool. It was a bitter cold windy day and our guide Portia knew the best wind shielding tricks along the way. Myself being a thoroughbred scouser and my Man United boyfriend both enjoyed the banter from Portia and the tour of our great city. We started at St George’s Hall, went to the very impressive library, Liverpool one, Matthew Street, three graces, Blue coat and finished off at the Albert dock. I would highly recommend this free tour to anyone and will be returning to do the other tour around the Georgian quarter and cathedrals. Big thanks to Portia for a great day. 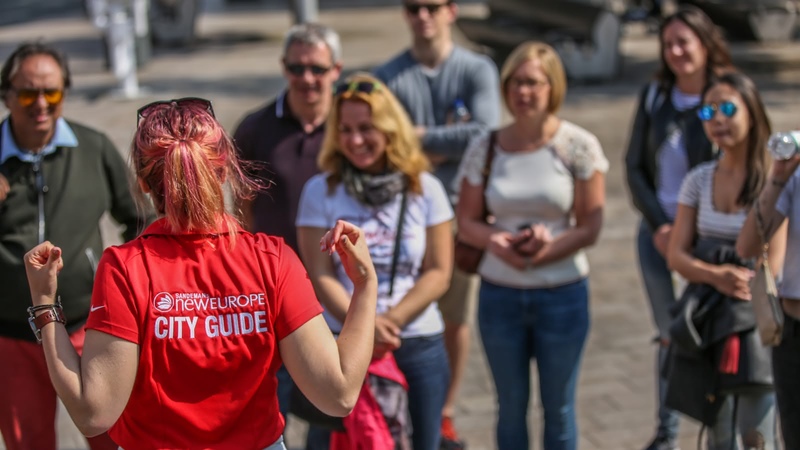 Perfect free tour with a nice guide and a lovely town. He made our trip a great experience. It is a highly recommended tour to better get to know the town in a few hours. Our guide Portia was fantastic! Very knowledgable and entertaining throughout the morning. Easy walking tour of about 2 and a half hours. Pointed out lots of places I'm sure we would have missed. Well worth booking this tour. Very well done Portia. Although it was a free tour everyone gave some gratuity for her service. My wife and I thoroughly enjoyed the walking tour with John, he was really knowledgeable with a good sprinkling of humour. 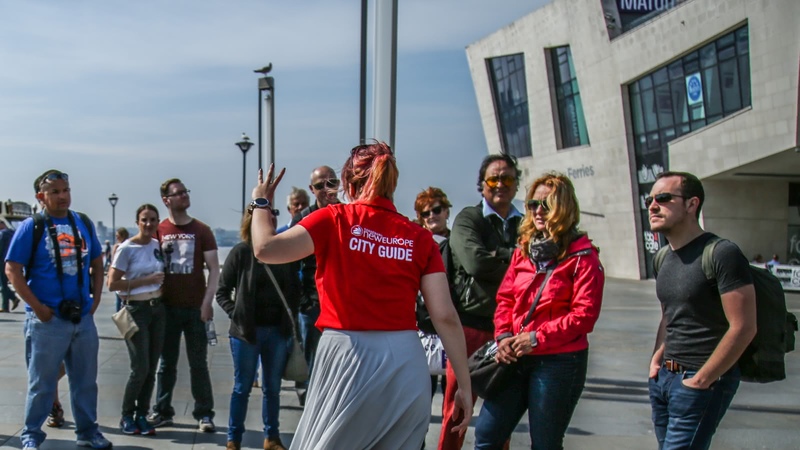 The tour highlighted the very best of Liverpool's beautiful iconic buildings and we learnt a lot of interesting facts. This was our first visit to the city and won't be our last. A very worthwhile tour. Thanks. 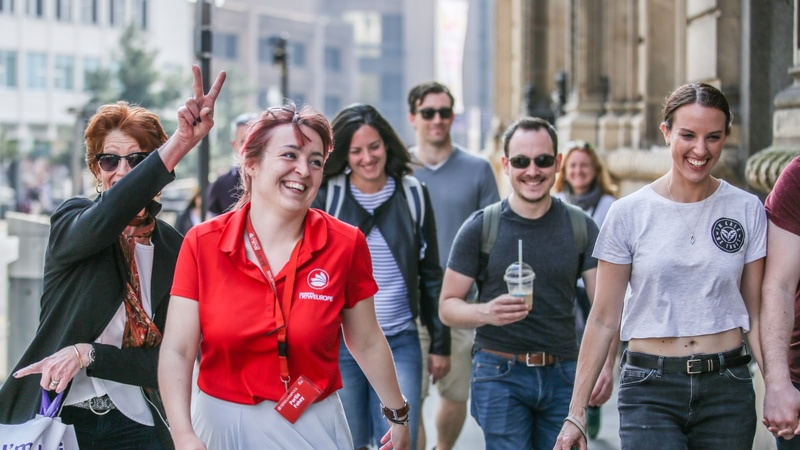 Fantastic walking tour with Portia, who provided details about the city that you likely wouldn't discover on your own. For a free tour, we covered a lot of ground. Portia kept the information interesting and had a great sense of humor. Would definitely recommend this tour as an introduction to the city of Liverpool. 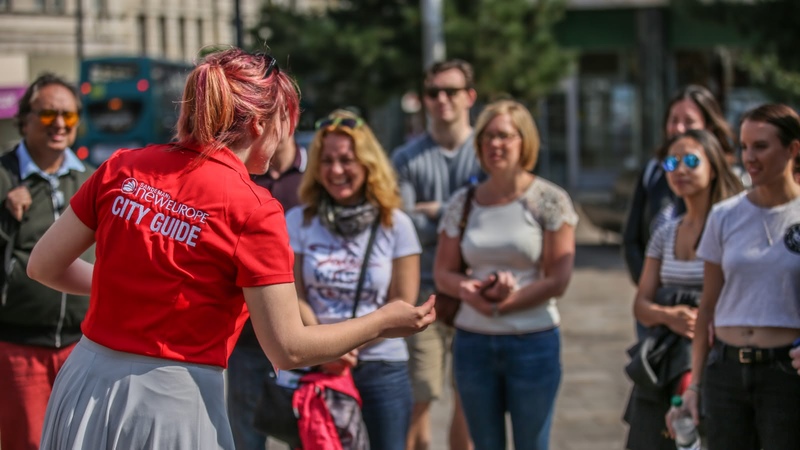 This is an amazing walking tour that I would reccomend to anyone visiting Liverpool. 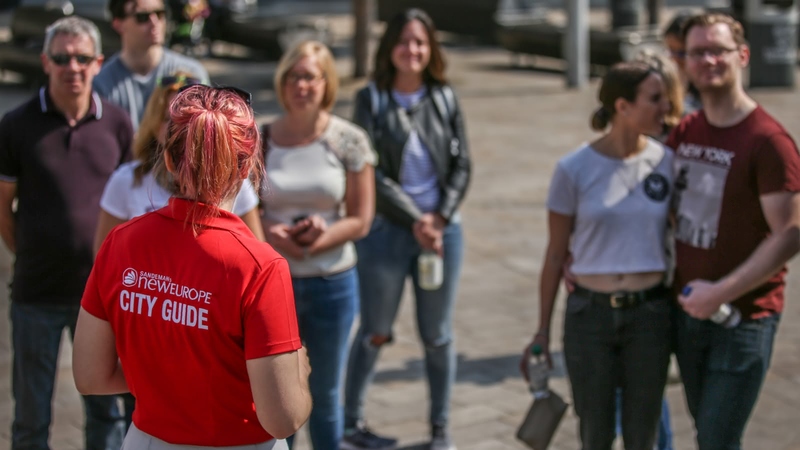 My guide was Tony, who had a great personality and an even greater passion for his city, giving us insight on Liverpool's history, fun facts and things to do around the place. I can't believe they do this just for tips!